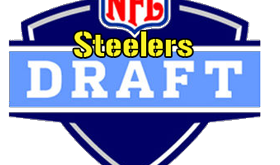 It would seem that the Pittsburgh Steelers might be interested in a defensive back or two in the 2016 draft. Just maybe. The team is showing off Lombardi trophies to five more prospects today, 4 of which are defensive backs. By my count, that’s 10 out of 14 draft visitors who are defensive backs. Ohio State safety Vonn Bell, Auburn cornerback Jonathan Jones, Clemson safety T.J. Green, North Carolina Central CB-S Ryan Smith, and Akron linebacker Jatavis Brown. Bell being the top talent and the headliner of the group, while the others are late round depth guys. He’s definitely not my favorite safety in this class, but I wouldn’t be completely shocked if he were the Steelers first round pick.